Make all the body parts needed to make the turkey. 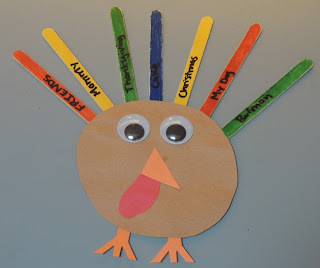 Allow children to glue together their turkey and then color Popsicle sticks. Have the children tell you what they are thankful for and write them down on the Popsicle sticks.